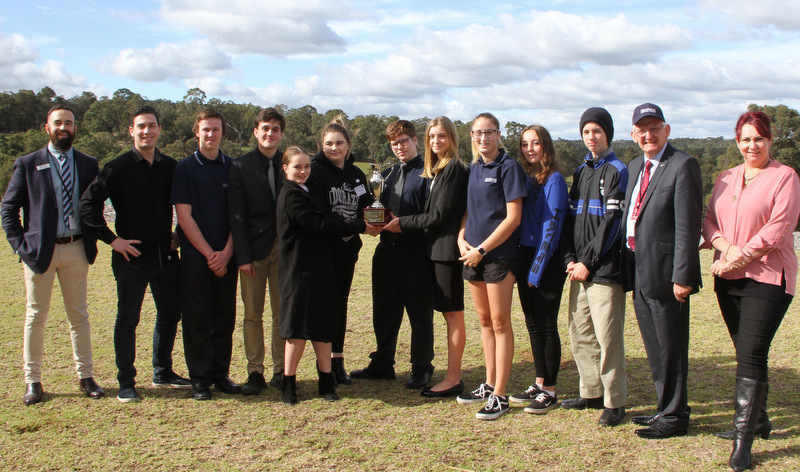 Mundaring Christian College’s Secondary campus in Parkerville was a hive of activity in the last week of the second term as the students participated in the Australian Business Week program. The program offered an exciting learning opportunity for Year 10 students, who participated in a real-life business simulation running a multi-million dollar sporting goods manufacturing business. Students competed in company groups against each other, learning a lot about what it takes to be enterprising. Students were mentored by experienced business people from the local community, who provided advice in the running of their businesses and guided them through various processes involved in managing a successful company. The role played by the mentors was vital in ensuring that the students are acutely aware of the intricacies involved in every facet of business, from financial decisions to marketing and day to day operations. Mentors and speakers included Mr Rob and Mrs Karen Dybeck, owners of Mundaring Subway, Mr Geoff Francis, President of the Mundaring Chamber of Commerce, Mr Craig Anderson of doTERRA and Mr Lyle Stewart from Deloitte, Australia. Mr Matthew Hughes MLA Kalamunda and Mrs Dani Tamati from The Resources Hub, Midland kindly judged and offered prizes. “One of the most important lessons in life is deciding what you are good at, where you will enjoy working and understanding how to interact with other people to reach your goals,” said Mr Giles Creelman, SCEA Community Engagement Manager and Australian Business Week mentor. To a question about understanding of career choices, a student responded that “ABW has helped me understand more about my strengths and weaknesses in pursuing a certain career.” Many students commented that they really enjoyed the challenge and professional setting. Australian Business Week at MCC was a resounding success. Students were challenged and rose to the occasion, showing character and resilience in their decision making and business practices. Student feedback indicated that students thoroughly enjoyed the experience, and a significant number of students now feel that they have an understanding of what it takes to run a successful business, and came away feeling more engaged in school. Australian Business Week will be back at Mundaring Christian College in 2019 and students are already excited about the program’s return. I would like to thank all students for giving it a go and all parents for your support of the program. If you have any knowledge of business (Finance, Marketing, Operations etc. ), we would love to hear from you about mentoring next year.